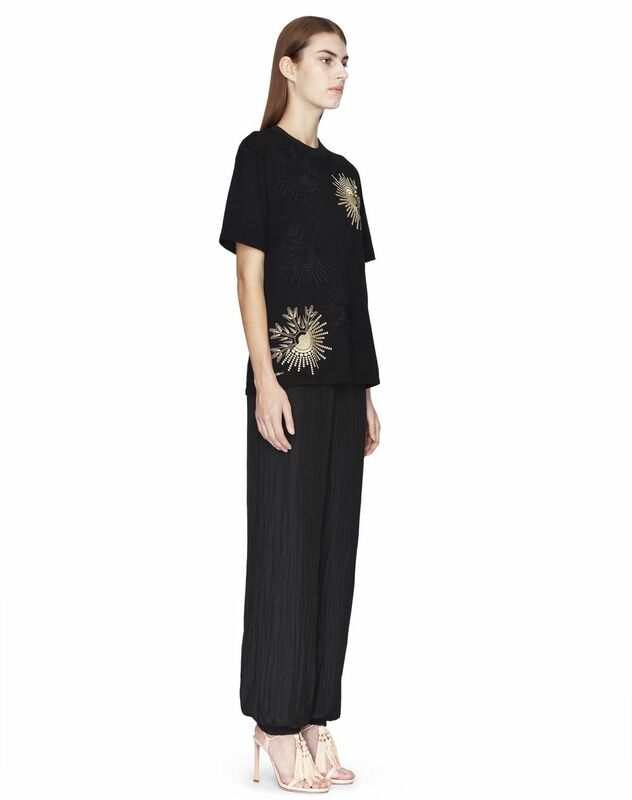 Black satin flowy trousers, high waist, subtle pleating, belt, and elastic hems. 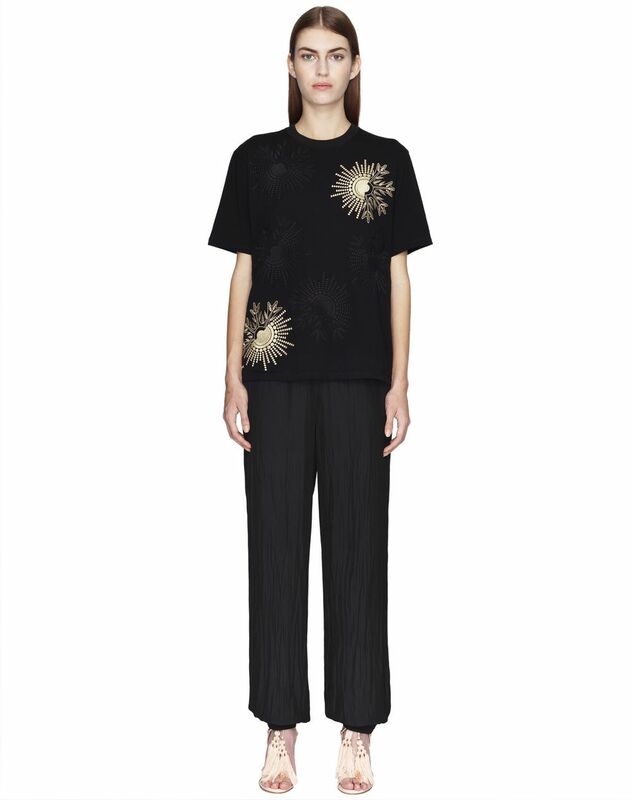 These flowy satin trousers stand out for their lightweight cut, pleated details and luminous black colour. 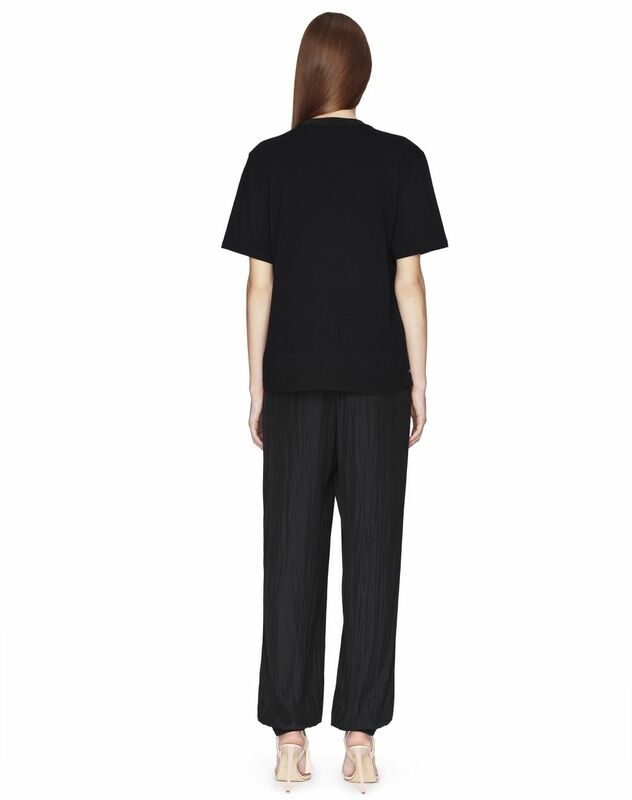 Paired with a poplin blouse for an elegant look or a cotton jersey T-shirt for a casual feel, these trousers are ideal for creating modern, feminine outfits. Main material: 100% polyester weave. Model's measurements: Height: 178 cm Chest: 84 cm Waist: 59 cm Hips: 88 cm Model wears a size 4. Made in Slovakia.